With a personal practice of lifetime learning, Ken has devoted himself to an attitude of always being curious. 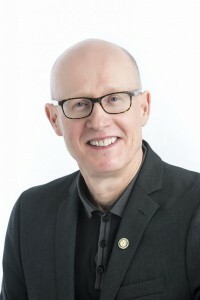 He loves to serve, and with a 17-year career as a professor at VIU he has a unique combination of business, teaching and community experience. A modest man you would have to dig deep to know he is honored to have a high school in Ghana named after him. As a Nanaimo REALTOR® Ken Hammer brings this business, teaching and community background to your home buying and selling experience. Ken looks forward to serving you!